Now that it's almost 2009 the serious concert lull is coming to an end. Winter is always a rough time when it comes to decent shows in this area but worry no more because according to Ticketmaster, the early Spring will be a busy time. 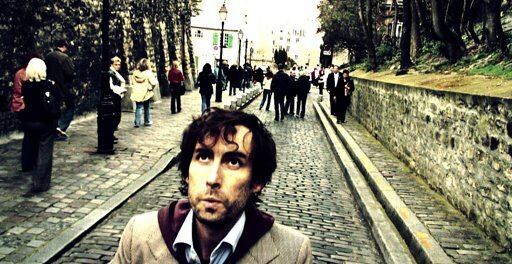 Andrew Bird will be making his way to Lawrence to play Liberty Hall on March 16th. Tickets will go on sale this Saturday 12/13 at 10:00 AM. I've caught Andrew the last two times he's been through town, at the Granada and opening for Wilco at the Crossroads, and he's definitely worth checking out. 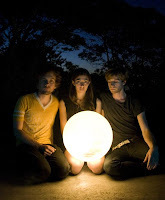 New favorites of mine, Chairlift will be appearing in Lawrence as well at the Jackpot on March 17th. Tickets are eight bucks and are on sale now. You've probably heard Chairlift before without even knowing it thanks to Apple (check out the song here) but don't let that song fool you....the rest of the album is much better. I've previously written about them HERE and posted a video of theirs from one of my favorite songs of the year, 'Planet Health'. Previously known as the "next big things" in the blogosphere in 2006 after the release of their solid debut album, 'Be He Me', Annuals will be playing at The Record Bar in KC on March 3rd. Their follow-up this year was less than riveting but the show should still be an good one. As I've noticed before, shows in this area are never set in stone, so keep a close eye on THE CONCERT CALENDAR for updates.